Jonna E. Stratton practices in the areas of corporate and nonprofit law, securities law, real estate law and intellectual property matters. Jonna is available to meet clients in both the Lancaster and Ardmore locations. Jonna works closely with businesses as they navigate the challenges from start up to wind down, as well as those arising in daily operations. She assists corporate clients with contract drafting, asset purchases, leasing, transfers of business interests, trademark protection and real estate transactions. In her nonprofit practice, Jonna counsels clients on how to obtain and maintain federal tax exempt status, as well as addressing other general nonprofit matters. Jonna brings considerable knowledge and experience in securities law. Prior to joining our firm, Jonna served as Staff Counsel and then as Director of the Division of Corporation Finance for the former Pennsylvania Securities Commission, now part of the Pennsylvania Department of Banking. As Director, she oversaw the review of Division registration, exemption and investment company filings for compliance with state securities laws. She also had examined various types of securities offerings made by business and nonprofit entities at the local, state and national level. Jonna served as a member of the North American Securities Administrators Association Direct Participation Programs Policy Project Group. 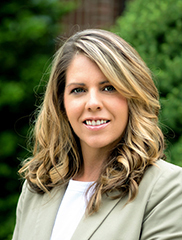 Upon graduation from law school, Jonna joined the Pennsylvania Department of State as prosecuting attorney. In that capacity, she handled professional licensure actions for the State Boards of Accountancy, Barber Examiners, Certified Real Estate Appraisers, Funeral Directors and Medicine as well as the Real Estate Commission. Jonna lives with her husband, Dan, and their daughter in Manheim Township.